Going solar is good for the planet, but it can also do plenty of good for your wallet. Want to weigh the cost benefits of leases versus loans? We’re here to help you navigate the murky path of hidden fees and true savings, to make sure you don’t take a wrong turn on your solar journey. If you’re short on time, here’s the gist: leases are appealing but smart folks choose loans. Leasing companies have honed in on how to make the flashiest offer, with glitter and chantings of “zero down” and “we cover the maintenance.” There are a slew of methods they use to pull the wool over your eyes and we’ll get into that here in a bit. The problem for them is that people are growing wiser, and loan companies are stepping it up. So in 2014, 72% of residential systems were leased or 3rd party owned, but according to a report by Green Tech Media, direct ownership will surpass third-party ownership by 2020. The cost of solar systems has decreased significantly in the past few years, making direct ownership costs pretty darn reasonable and overall the most money-wise. While leasing may dazzle you if you have low credit, don’t want to field the upfront cost or take out a loan, or simply don’t want to put in the effort to save your Benjamins, the reality of leasing simply isn’t quite as sunny as it looks. Under lease agreements, you pay a monthly fee to the company that owns the solar panels. The main attraction to leasing is that the combination of your lease payment and electric bill is still less than you currently pay for power, and it’s easy on the front end. Leasing companies typically bundle installation and financing, making that first step toward installation appealing in its simplicity. They perform (or outsource) installation of the panels, and you are free to use the electricity produced for the length of your contract. Escalator clauses: Leasing companies typically insert escalator clauses to offset any increased electricity costs. These automatically reduce your savings over time by increasing your payments a small percentage each year. If the cost of energy doesn’t rise as quickly as the lease payments, your savings dry up. Should you decide to lease, ask for a proration clause in case the cost of electric falls below their estimates. Warranties & maintenance: Longer warranties and less customer involvement with maintenance and monitoring are other claims that leasing companies make. Most reputable installation companies will supply you with a monitoring system and supportive warranty, but when you lease, you may not have your choice of installer. Typically, solar systems have a ~30 year life span, and usually do not require much maintenance. However, should a maintenance issue arise, you would have to work with the leasing company and typically their reputation for speedy service is less than favorable. If you lease, pay diligent attention to what scenarios are covered under a maintenance plan, as opposed to an equipment warranty or your homeowner’s insurance policy. Completion of lease: Leasing also requires a commitment to the home you’re in. If you decide to move, your options are to buy out the lease at a rate that likely differs significantly from the remainder of your lease payments, or for the home purchaser to assume the remainder of the lease (which may dissuade many prospects). Some leasing companies will allow panel transfer, but it’s likely that it will cost assessment fees, as well as reinstallation fees at your new home. At the end of your lease, the leasing company can choose to remove the system, along with your savings, or they may try to sell you the system. Loss of tax credits: Solar system owners are eligible for a federal tax credit, and can claim dollar-for-dollar tax deductions of 30% of the total cost of your system via the Investment Tax Credit. If you lease your system, your tax credit goes to the lease companies. 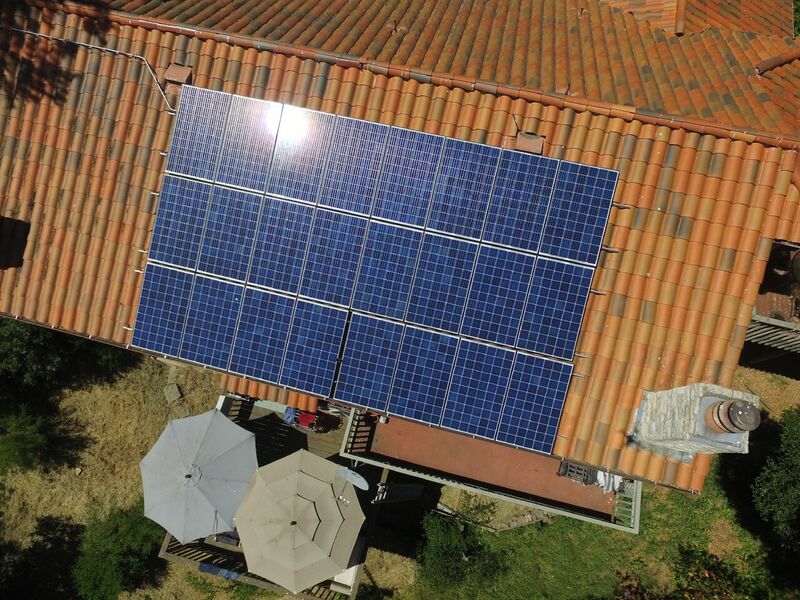 “Given my experience with solar, I would purchase over lease. One instance when I was representing the buyers and wanted to make an offer on a home that had solar panels (the seller was leasing the solar panels), there were a few options at that point for this deal. One was for the seller to buy out the lease prior to close of escrow, which was nearly $30,000. Another option was that the seller had to take the “panels and lease with them” to their new home. The seller would have to had pay the solar company to remove the panels from the roof and to make repairs to the roof if needed. The buyer could also take over the lease at the terms of the previous terms. This was not ideal for my buyers and was one of the contributing factors that we did not make an offer on that home. As financial institutions, leasing companies (even the most kind-hearted ones) are in the business of maximizing profits. It doesn’t take much effort to find countless lease victims leaving their regretful reviews online, so research your installation company before you sign a contract. The oversight of the solar system installation is in the leasing company’s hands, so the number of panels, brand of components, orientation, and general appearance of your panels may not be exactly as you envisioned. If you decide to lease, be sure to carefully check your lease agreement and get your eyes on any mock-up designs, if possible. Oh, and get everything in writing because those verbal promises might not come to fruition. If you can’t purchase a solar system outright, there are zero money down options that still immediately give you access to the benefits of ownership. We can point you to an honest base provider and work with you the whole way. Home equity loans or lines of credit, which use your home as collateral, typically have low interest rates, and that interest is tax deductible. Loans can range from 5-20 years and have fixed interest rates, whereas equity lines average 10 years and have variable interest rates. Lenders may also offer secured or unsecured solar loans. As always, it’s important to read the fine print and watch out for hidden fees, such as origination charges. Unsecured solar loans do not use your home as collateral, but the interest isn’t tax deductible. PACE loans (Property Assessed Clean Energy) are a great option and are granted based on the equity in your home. Your payments are added to your tax bills and if you have issues with credit, this is your answer. Interest rates are a bit higher but there are generally no pre-payment penalties so you can pay them off early if you’d like. Still not sure which route you want to go? The cost of the system upfront, your average electric bill reduction, and how quickly the systems pay for themselves are not only easy calculations to make, they’re important in understanding how to best leverage your money. We’d love to help you understand your options and potential savings, so don’t hesitate to ask. At Earth Electric, you’ll get the best possible price and installation experience. We’ll help you gain all the information to make the smartest choice – the choice that’s right for you, now and for years to come. Many leasing institutions charge both you as the customer, and us as the installer. We don’t like ifs, ands, buts, or loopholes, so we only work with loans and complete payments. Give us a ring to discuss your exact details; we’re happy to help make your solar journey crystal clear. Thank you to Laure Serafini and Jason Braley for sharing your insights!